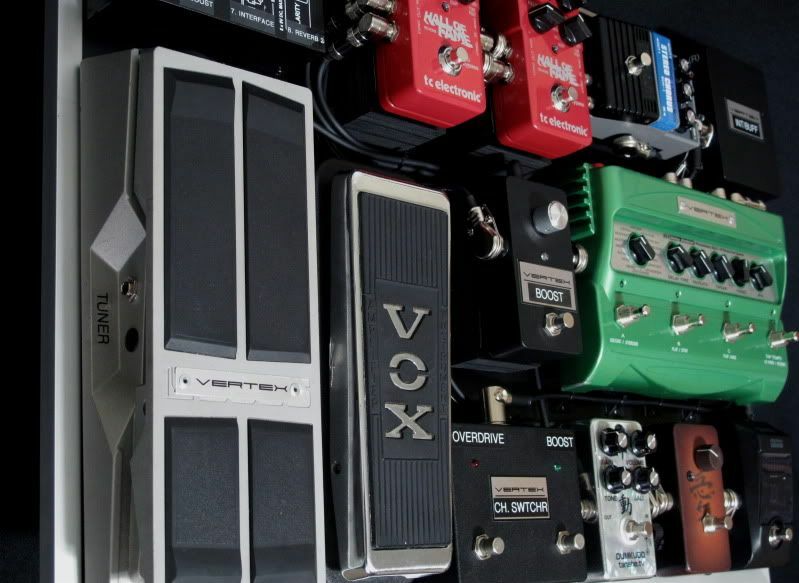 Robben has now moved more into using more pedals than in past and wanted to expand his rig, as well add more functionality in a package similarly sized to what he was previously using. 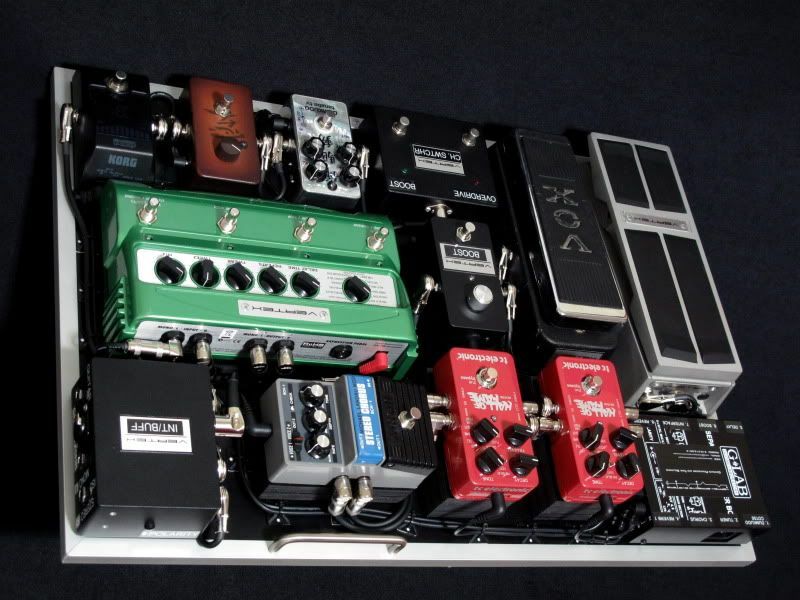 For the new pedalboard (25" x 17"), I integrated an amp channel switcher for Robben’s Dumble, so he would no longer have to use a footswitch off of the pedalboard to change channels on his amplifier and could save valuable space on stage. 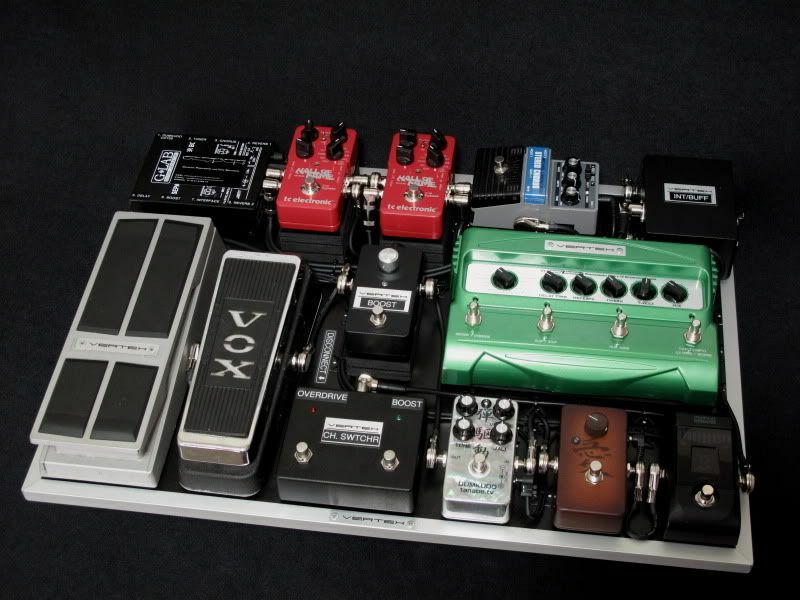 Passive Input (no buffer), Stereo Outputs (left and right) with Vertex Dual Output Buffers tweaked to Robben’s taste, isolation transformer on left output to prevent any grounding when using two amplifiers together, and a polarity switch to optimize sonic performance when using two amplifiers in a stereo set up. 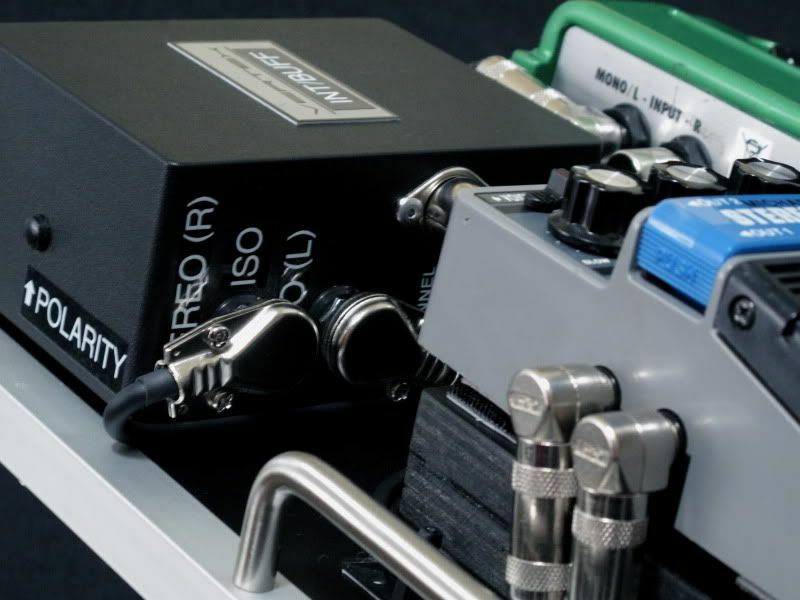 There is also an additional 5-pin DIN to 5-pin XLR junction in the center of the interface to allow Robben’s Dumble to be switched from the pedalboard. 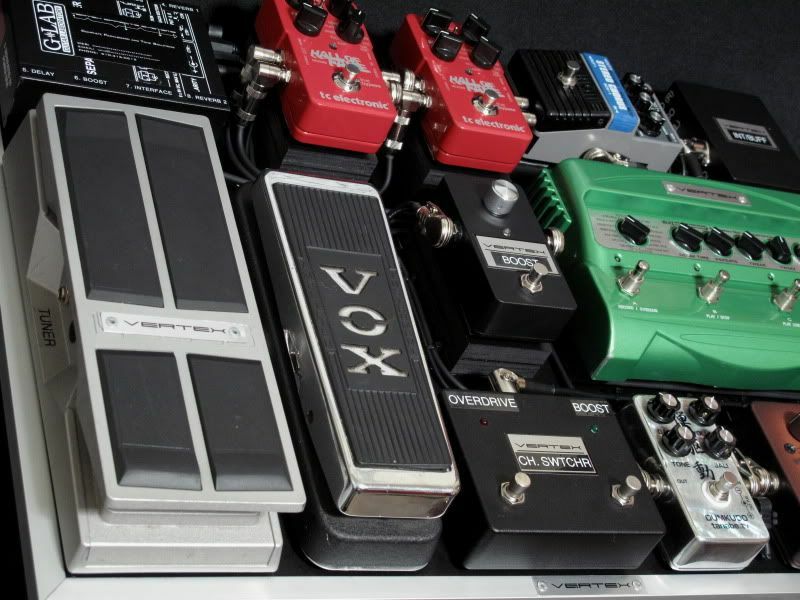 The pedalboard side is all 5-pin DIN at both the switcher and interface, on the outboard side the interface is all 5-pin XLR so that any 5-pin XLR. 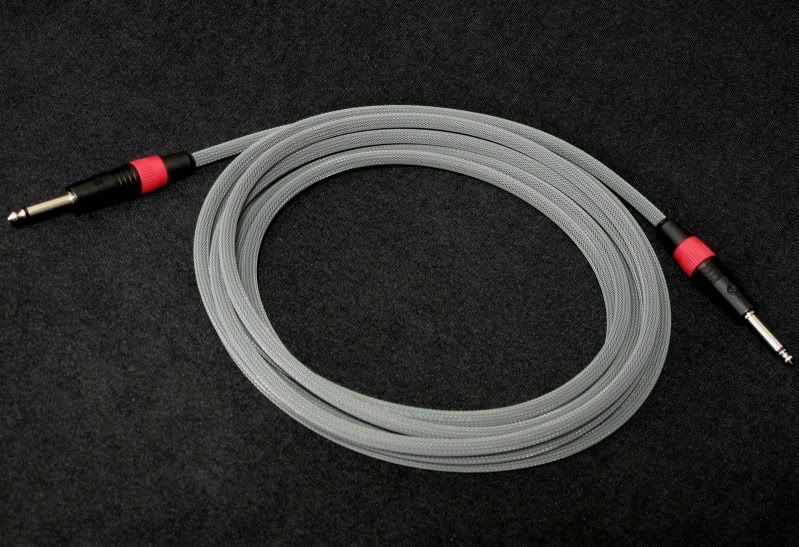 The interface is wired to accept any 5-pin DIN or XLR and the configuration for the Dumble switching is all done inside of the interface so any “off the shelf” cable could be used in an emergency with the same orientation. 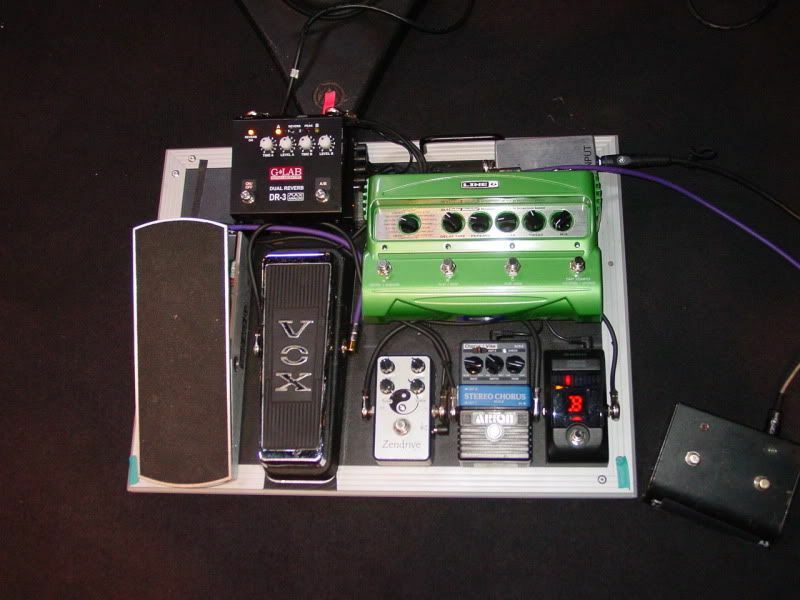 Interface (passive), Korg Pitchblack Tuner, Lovepedal COT 50 Lil’ China, Tanabe Dumkudo, Vertex Boost (Prototype), Vox Wah (Vertex Axis Mod), Vertex Volume Pedal (modified Boss FV-500), Vertex “Michael Landau” Modified Arion Chorus (stereo), Vertex modified Line 6 DL-4 (stereo), T.C. Electronic Hall of Fame Reverb (stereo), T.C. Electronic Hall of Fame Reverb (stereo), Interface (Stereo Outputs with Vertex Dual Output Buffers, ISO transformer on left output, and a polarity switch). 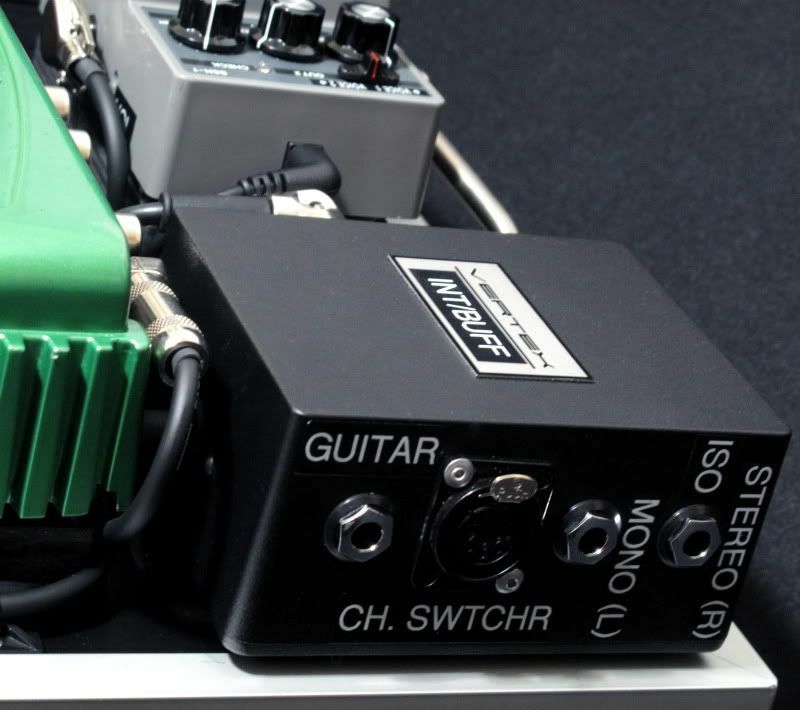 *Vertex Amplifier Channel Switch is for Dumble Overdrive Special and is connected through the interface which has a 5-pin DIN to XLR pass-through). *Wah is powered off of batteries as requested by Robben. 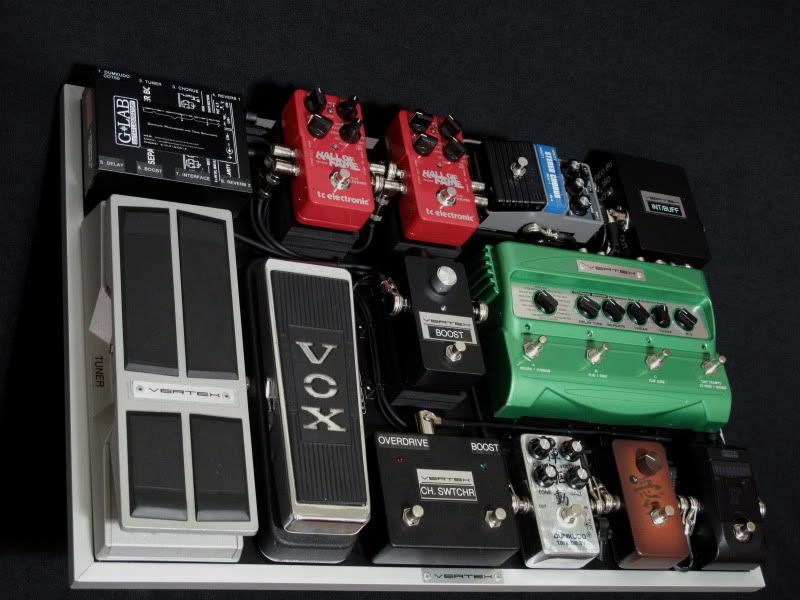 * Robben is now using Vertex Prototype Instrument Cables going in and out of the pedalboard (see pictures below). 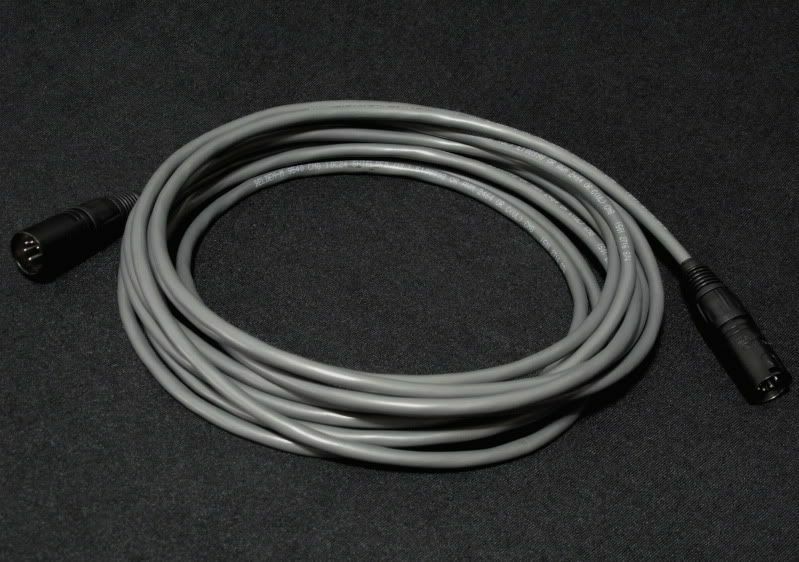 * XLR Cable is wired with Belden 9540 with two leads connected to each pin to maximum durability (if one lead becomes detached or fails the cable will still function flawlessly).